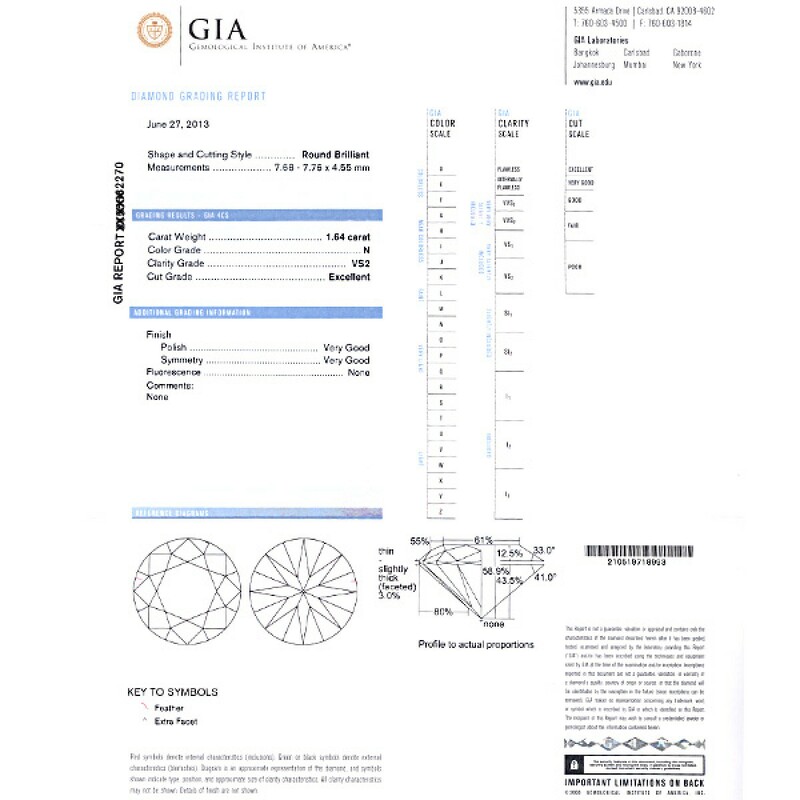 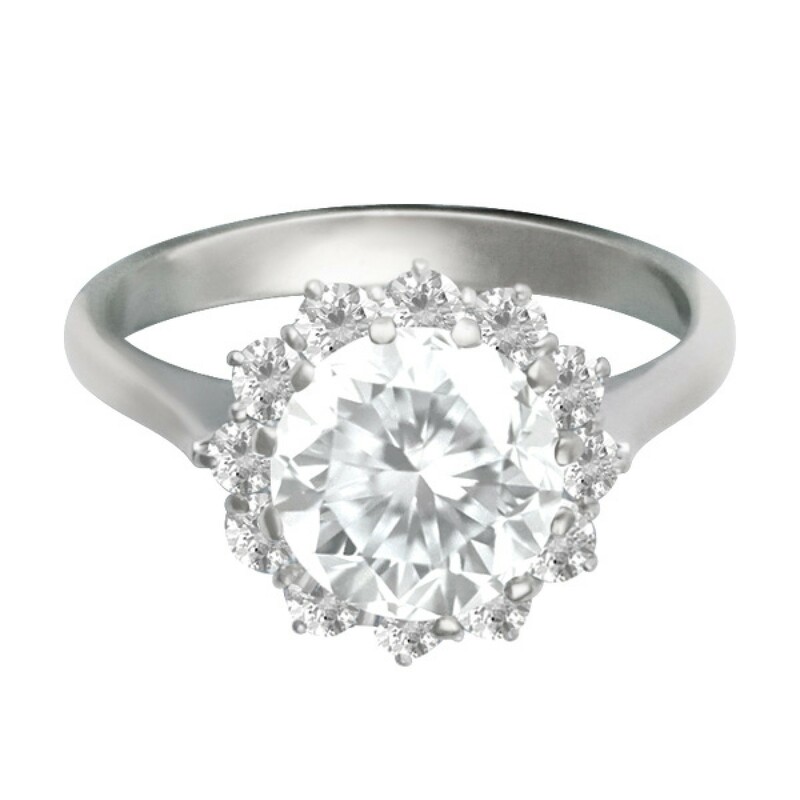 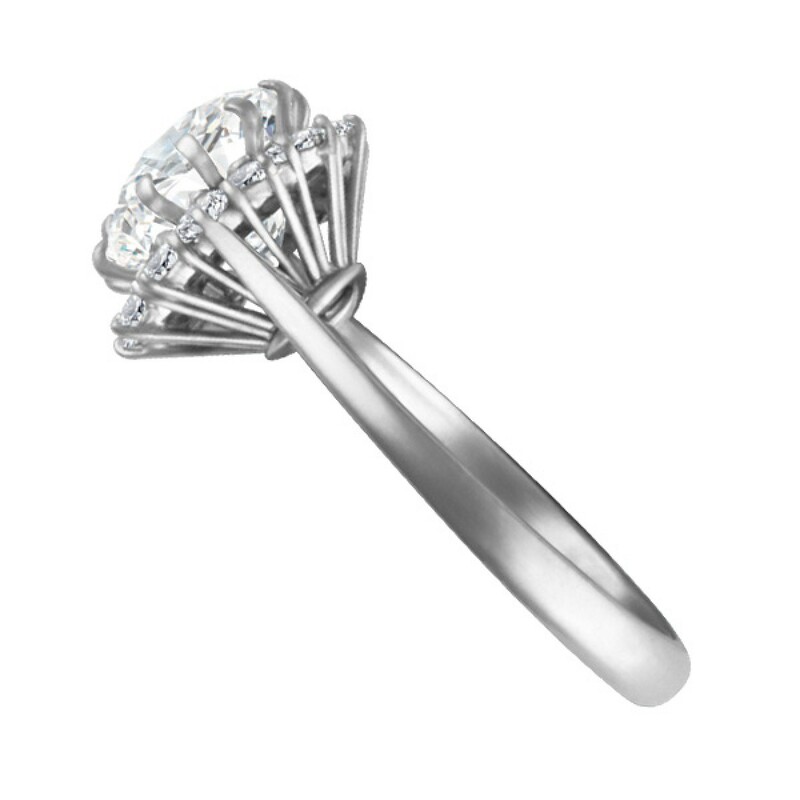 GIA Certified Round Brilliant diamond ring 1.64 cts (N Color, VS2 Clarity) set in a white gold setting with over 1 carat in diamond accents. 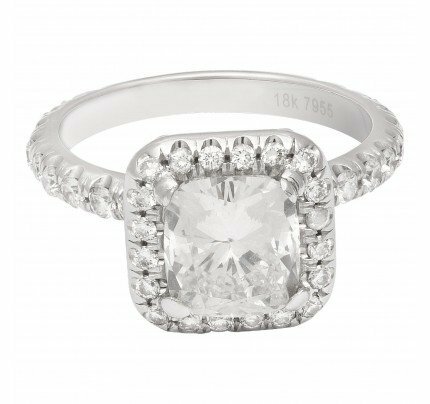 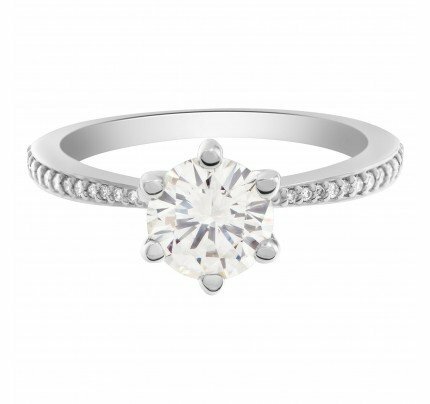 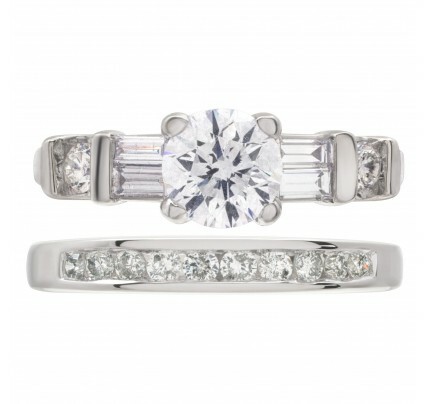 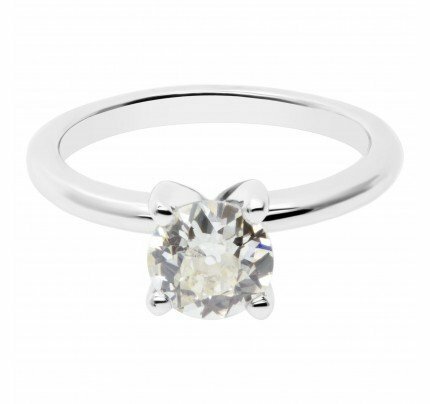 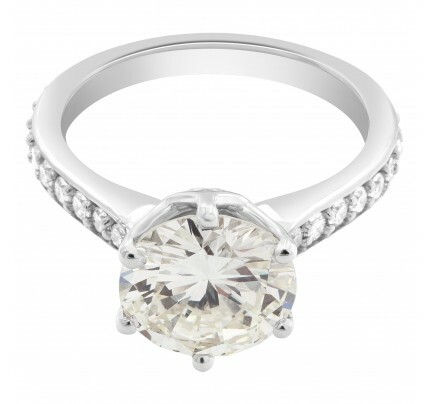 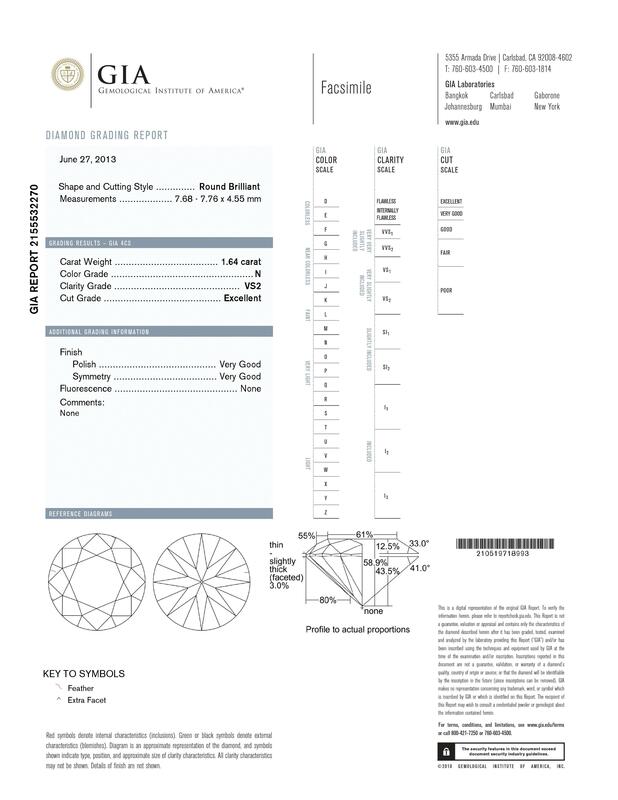 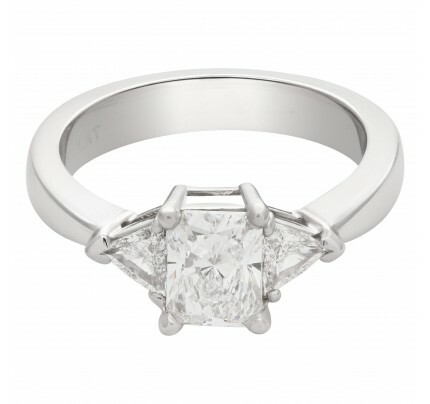 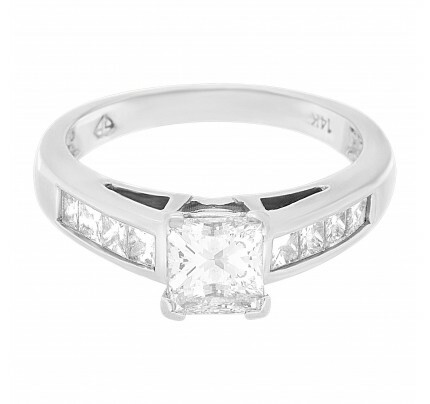 This GIA certified ring is currently size 0 and some items can be sized up or down, please ask! 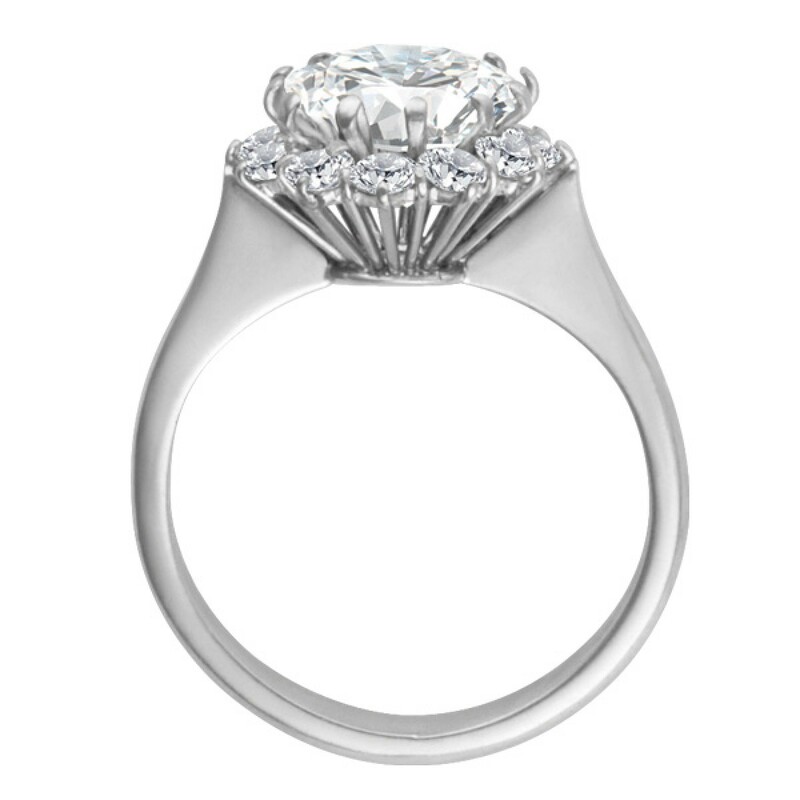 It weighs 0 gramms and is 18k.